Well that was unexpected. The Los Angeles Lakers have lost a lot their luster and have now lost their magic too with with Erving Johnson stepping down last week as president of Basketball Operations. 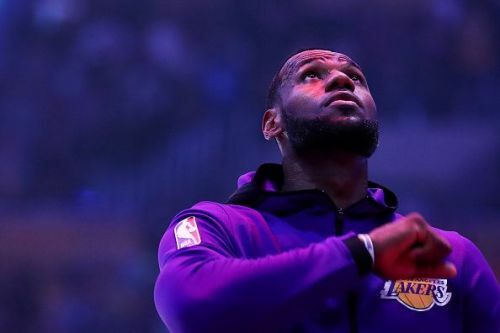 The Lakers have missed the playoffs since 2013, but with Lebron James in the team hopes were high. Everything seemed to be going to plan even during Christmas. They had beaten the Golden State Warriors, were 20-14 and 4th in the Western Conference. Then Lebron got hurt and the Anthony Davis saga covered the franchise with a dark cloud. Now that the season is over, the next domino to fall was Luke Walton. So now the Lakers must replace a coach and president before the draft and free agency starts. There are two perfect candidates for each opening the Lakers should be seeking. First is the front office and if Jerry West wants this job, it will be his. After all of his success in building winning teams, West can run any team in basketball. He is the greatest executive in the history of the sport. With his ties to the Lakers, he may have a soft spot for them and want to help return them to the top. West has helped turn around crosstown rival Clippers into one of the best organizations in basketball. The Clippers would be crazy to allow the Lakers have a crack at West. He left the Lakers on rocky terms during his tenure. But time heals all wounds and if they can get past their history, there will be no need for an interview process. As for the coach, there are only two that Lebron seems to respect -- Tyronn Lue and Erik Spoelstra, winning championships with both. The Miami Heat certainly aren’t parting ways with Spoelstra. Lue seems to be the front runner and with good reason. He guided the Cleveland Cavaliers to three straight NBA Finals and was able to manage the ego of Lebron James and Kyrie Irving for a period of time. Lue has been out of coaching since he was fired by the Cavaliers after an 0-6 start to the 2018-19 season. That had more to do with the Cavs roster than Lue’s coaching. He’s a player coach and with free agency on the horizon, the Lakers need a voice the players will listen to and believe in. Lue is battle-tested and a champion as a player with the Lakers and so the bright lights of Los Angeles wont scare him away. This is the most important off-season the Lakers have had in sometime. They must select the correct executive, coach, draft prospect, and lure a free agent to pair with Lebron or it will be seen as a failure. The Lebron era got off to a nice start but now is the time for the Lakers to position themselves into championship contention. Lebron has only a few years left in the game and fan's patience is running low.